In today’s Lent Devotional for Women, I have a confession. I am behind in my daily Bible reading. But, as I was reading today, because when I’m behind, I just pick it right back up–no guilt, no worries. As I was reading today I had a revelation I wanted to share. When I had this revelation and my first thought was, “I have to share this with the group!” So today in our Lenten devotional, I want to move from the topic of friendship back to the topic of prayer. Unanswered or not answered in a timely manner prayer to be exact. Today I was reading from the Book of Luke. In Luke Chapter two is the story of Joseph, Mary, and Jesus traveling to Jerusalem for the Passover festival. 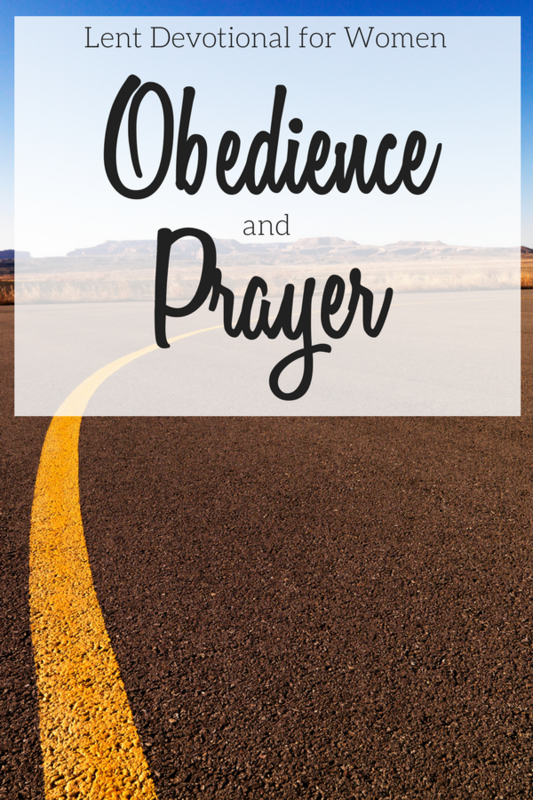 I actually have two points to share: obedience and prayer. The points in agreement being, the Holy Family were obedient to the Law. Even though Jesus was/is the Second Person of the Blessed Trinity, He obeyed the Law. The question being, are we? Do we obey the Laws of God? There really isn’t much more to say on this point. We either do, or we don’t. Before we get to the prayer point, let’s take a moment to consider Mary’s obedience. And in thinking about her obedience, the word desire came to mind. Mary didn’t have to make the yearly trip to Jerusalem, it was “voluntary.” But so great was her “regard to the ordinances and appointments of God” that she desired to go. How many of us desire to do a little extra in our spiritual life out of love for God? Out of extra obedience to God. We all have an extra obligation to learn more about God, His ways, and our faith. More than a Sunday sermon or midweek Bible study. Do we take advantage of the various opportunities or do we make opportunities and space to learn more of God, to spend more time with Him? Look, there are seasons where “one more thing” might be the thing that tips our blessed scales! But can’t we grab our Bible before our phone? Can’t we read a spiritual book over a fictional novel? Can’t we set a timer to bring our minds back into focus throughout the day? We can, if we desire it. Seriously think about that one for a minute. The Scriptures tell us they searched for Him for three days. We all know what parents would do when their child is missing for three minutes much less three days. We pray! Probably like we have never prayed before. And yet, it was three days before they found Him safe. Do you get this? Is it sinking in? I only ask because considering how many times I’ve read or heard that story, it has never occurred to me that in those three days, Joseph and Mary were praying and it took three days for their prayer to be answered. The point, even the earthly father and mother of the Son of God had to persevere in prayer. We are so close to Easter, persevere my friends. If you feel like you can’t find Jesus, keep looking and praying. Put yourself in the picture with Joseph and Mary. Imagine searching and praying with them to find Our Lord. You will find Him! More Lent Devotional for Women posts. I never really considered the “wait” for an answer to even their prayer–so true–, but I always consider that Mary and Joseph, too, dealt with the unpredictability of teens. That thought and “decade” of the rosary got me through many years of parenting this age group, knowing they understand.